Departure Dates: Any dates you would like! Price: From $945 USD per person, for groups of at least four. Please contact us for pricing for smaller groups. Tour historic and charming Cusco, former capital of the Inca empire. Enjoy both famous and off the beaten path highlights in the beautiful Sacred Valley. 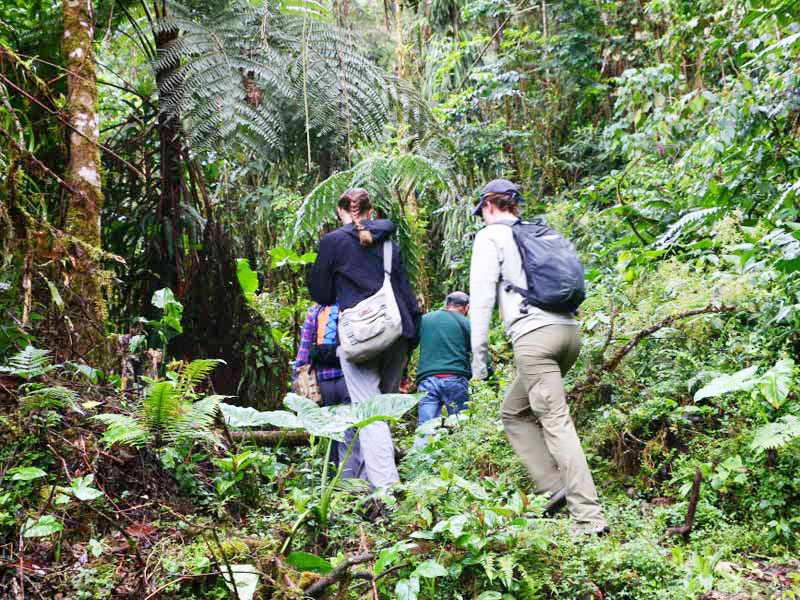 Travel throuh Cusco`s beautiful high jungle. Durning this time, you´ll sample local chocolate, coffee, coca and fruit on your way to Machu Picchu. Stay overnight on organic, family-run farms. Enjoy the opportunity to learn about harvesting, production and daily life. Spend a day an active day at Machu Picchu, including a private guided tour and the option to hike Huayna Picchu, Machu Picchu Mountain, the Temple of the Moon or Inti Punku. 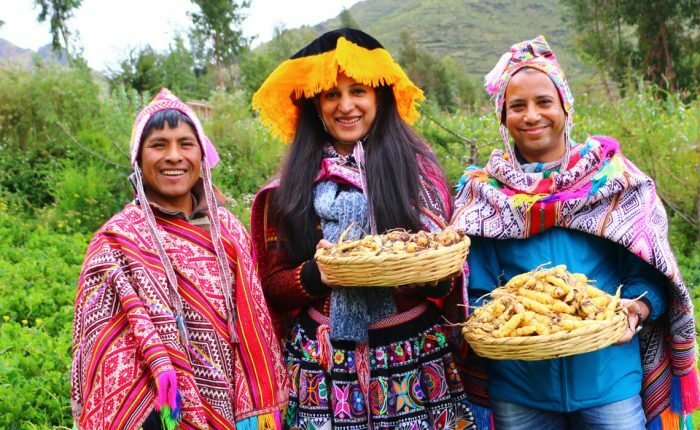 Immerse yourself in local culture and agriculture while visiting renowned highlights of Cusco and the Sacred Valley! Visit family-run coffee, cacao (chocolate), and coca farms. 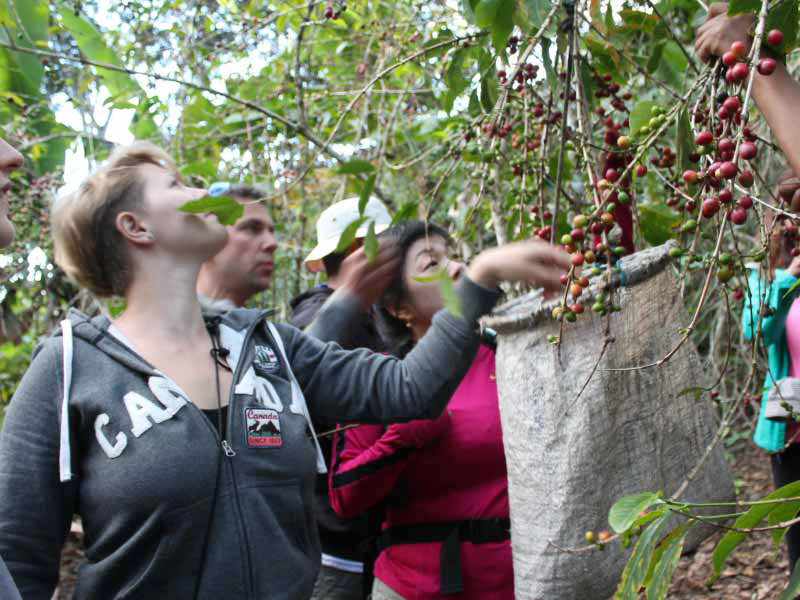 Stay overnight with two farming families, and learn about small-scale coffee & chocolate prodution. 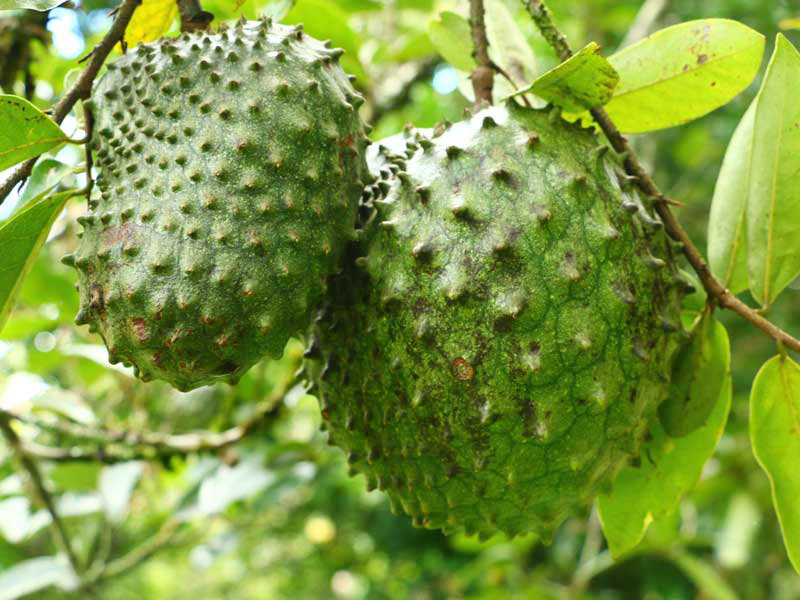 Sample delicious fresh fruit from the high jungle. Spend an active final day at the Machu Picchu ruins, with the option to hike Huayna Picchu or Machu Picchu Montaña included (based on availability). Morning for departure for the beautiful Sacred Valley. Our first stop is the archaeological site of Moray, which is thought to have been used for agricultural research by the Incas. These concentric stone terraces constructed within naturally-occurring depressions are impressive, and offer incredible views of the Sacred Valley and the snow-capped peaks that surround it. Next, begin a pleasant hike to the Salineras, a complex series of spring-fed, terraced salt pans, build into a steep mountainside. You will most likely observe locals preparing the pans and harvesting salt in the traditional manner. Take the opportunity to sample or purchase your own pink salt from the famous salt pools. From the Salineras, we´ll break for a traditional, home-cooked meal with a local family. If you´d like, it´s possible to include a gentle hike or bike ride after your meal. Finally, we arrive in the Inca town of Ollantaytambo, where active canals run along Inca-constructed, stone-paved streets and passageways. Many original Inca buildings remain in use today. Explore the lovely town`s adjacent ruins, then continue to your cozy hotel for the evening. After an early breakfast, set out for Cusco`s high jungle. We`ll begin with a scenic drive to Malaga Pass to enjoy incredible panoramic views, then descend through the warm and humid valley below. Arrive at your homestay family`s farm in time for a delicious lunch, then break for a bit to get settled and rest. Next, tour the organic farm, where coffee, cacao, and an enormous variety of tropical fruit is grown. We`ll learn how cacao is grown and harvested and make our own chocolate treats before dinner. After a fresh, nourishing breakfast, we`ll say goodbye to our host family and set out on a scenic hike along original Inca trail. Along the way we`ll stop to learn about coca production, and the plant`s historical and cultural significance in the Andes. Our hike ends at the Colcamayo hotsprings, where we´ll enjoy lunch and a soak. After time to relax, continue to your coffee farm homestay for dinner and a comfortable overnight stay. Begin the day with a tour of the small and efficient coffee farm, focusing on the harvesting process. Learn about artisan coffee production, then roast and grind your own morning cup. After breakfast with your host family, depart on a scenic and easy 2-3 hour hike into Aguas Calientes, located at the base of Machu Picchu. Catch your first glimpses of the incredible ruins along the way! We awake this morning to catch the bus to the gates of this Wonder of the World! Ascend stone steps, through heavy tree cover to finally emerge at the top of the world – Machu Picchu! The incredible Inca stone construction will be spread below, alternately hidden and revealed by clouds. Enjoy a 2.5-3 hour private tour with your guide, then one of two Machu Picchu hiking tour options: Huayna Picchu or Machu Picchu Mountain in the afternoon (based on availability; please confirm at the time of booking). In the afternoon, descend to Aguas Calientes for your return train to Ollantaytambo. We´ll be waiting in the station and bring you to your hotel in Cusco for a good night’s rest. When thinking of Peru, what are the first things that come to mind? Certainly Machu Picchu, mountainous landscapes, tiny agricultural villages, and incredible cultural traditions. These iconic Peruvian images may be followed by thoughts of locally grown coffee, rich chocolate, and flavorful tropical fruits. If not, they should be! 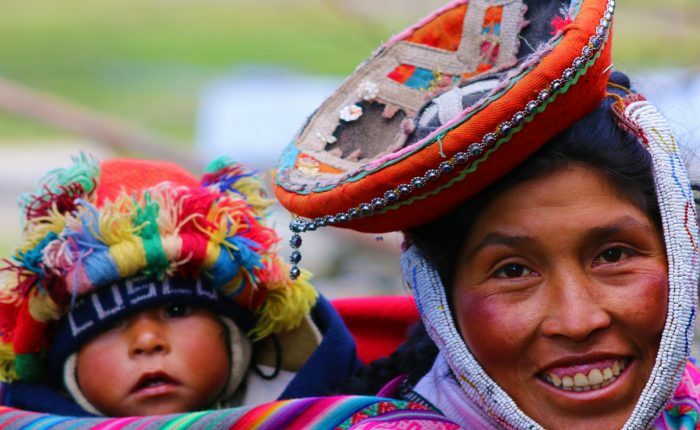 Peru is an incredibly diverse country, comprised of arid deserts, the dramatic Andes, and lush rainforest. Even within just the department of Cusco, environmental diversity is incredible. Ranging from high-altitude peaks where little more than potatoes can be cultivated, to the fertile Sacred Valley filled with fields of corn, quinoa and barley, to the coffee, cacao and tropical fruits of the high jungle, there is much to see and explore on your way to Machu Picchu. With this in mind, we´ve worked to create a singular tour that celebrates the cultural, agricultural and culinary marvels Peru (and specifically Cusco) have to offer. Our Coffee, Chocolate and Machu Picchu Hiking Tour weds these elements seamlessly, in a adventurous, engaging and active 5D/4N itinerary. Beginning in the charming colonial city center of Cusco, join Ayni Peru for a fascinating journey across dramatic landscapes, culminating in a final day at unforgettable Machu Picchu. 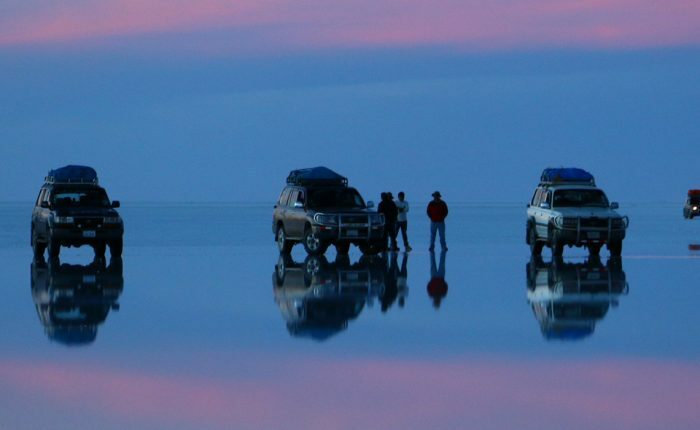 Along the way you´ll experience the profound natural and cultural variety that qualifies the region as truly beyond compare. Our tour begins in Cusco with departure to the beautiful Sacred Valley of the Incas. We begin with a visit Moray, an unusual Inca archaeological site comprised of sunken, circular stone terraces. While the origins of the site may be pre-Inca, the fascinating terraces almost definitely were developed by the Inca for agricultural research. From Moray, a short hike takes you to the Salineras, salt mines built into the side of a hill. A highly salty spring feeds these terraced pools, and as the water flows down the hill, it collects in the pools and eventually evaporates, leaving just the salt behind. 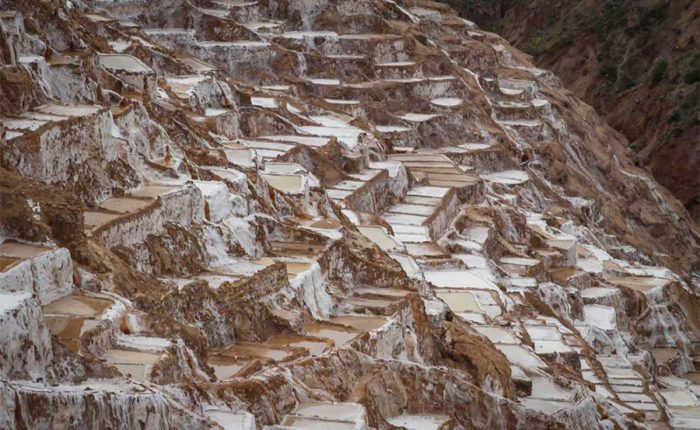 This method of salt collection dates back to pre-Inca times, and you will almost certainly see families hard at work collecting salt, as the pools are inherited by families and managed communally. Enjoy the spectacular views of the salt mines and don’t forget to pick up a bag of pink Maras salt to take home! Day 1 concludes in the Inca town of Ollantaytambo, where you will walk along cobblestone streets, admire the stone buildings still remaining from Inca times, and gaze up at the giant ruins towering above you. Hiking up to explore the massive ruins, you will have a peek into the past as you imagine Inca soldiers scurrying around this stronghold of the Inca resistance against the Spanish. Today we begin our dive into the world of coffee and chocolate. After breakfast we´ll depart for Cusco’s warm, humid high jungle. You´ll arrive at your first farm homestay in time to join your host family for lunch. In the afternoon, enjoy a personal tour of their organic farm, where coffee, cacao, and a unique collection of tropical fruits thrive. Learn how cacao is traditionally grown and harvested, and even have the chance to make your own chocolate! 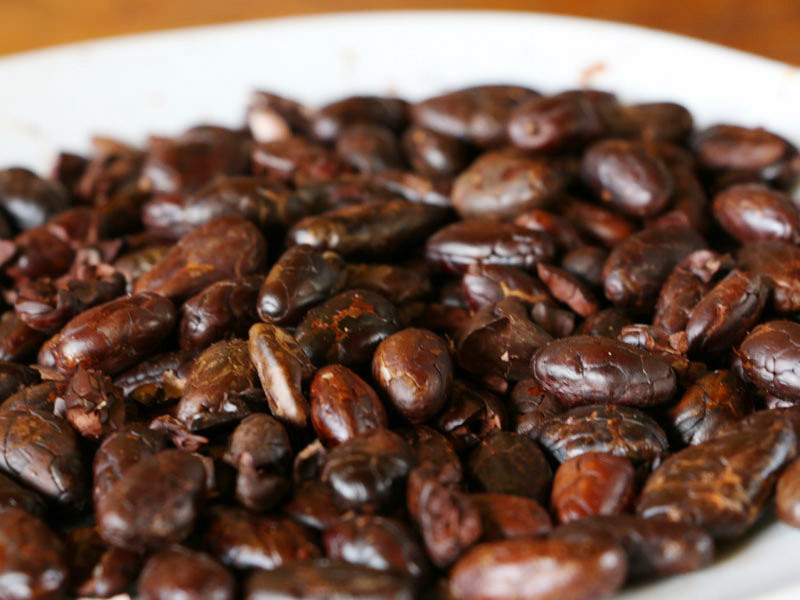 Peruvian cacao is exquisitely aromatic because of its high quality, which results from a higher fat content. It is also especially valuable because it can easily adapt to different growing systems, allowing for increased production. 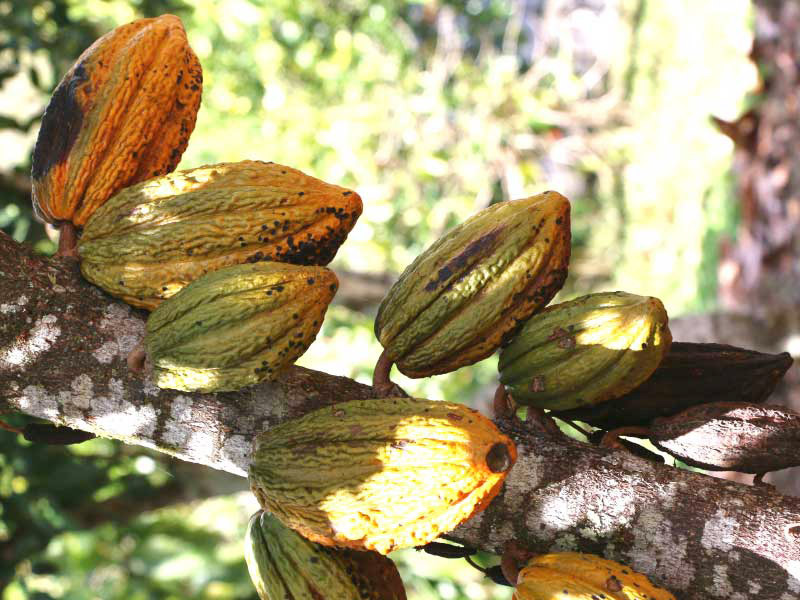 In fact, Peru is currently the world’s ninth largest producer of cacao, with production continuing to increase. The great majority of this takes place on small farms, much like the one you´ve explored today! The following morning, we venture deeper into the high jungle. Begin the day learning about coca, the celebrated leaves renowned for their religious and cultural significance throughout the Andes. In the west, the coca plant is most often associated with illegal cocaine production. 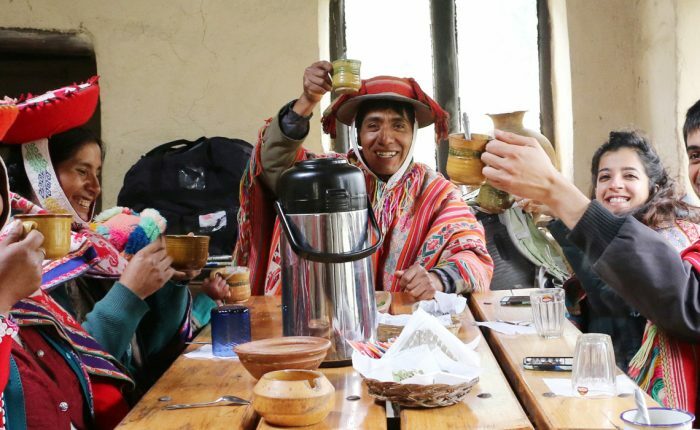 However, it´s importance to the Andean people for medicinal purposes, religious ceremonies, and multiple other uses is the focus of today´s experience. Next, hike to the beautiful Colcamayo hot springs before arriving at this evening´s accommodations; an organic, family-run coffee farm. Peru has been producing coffee since the 1700s, and today there are more than 110,000 coffee growers in Peru. 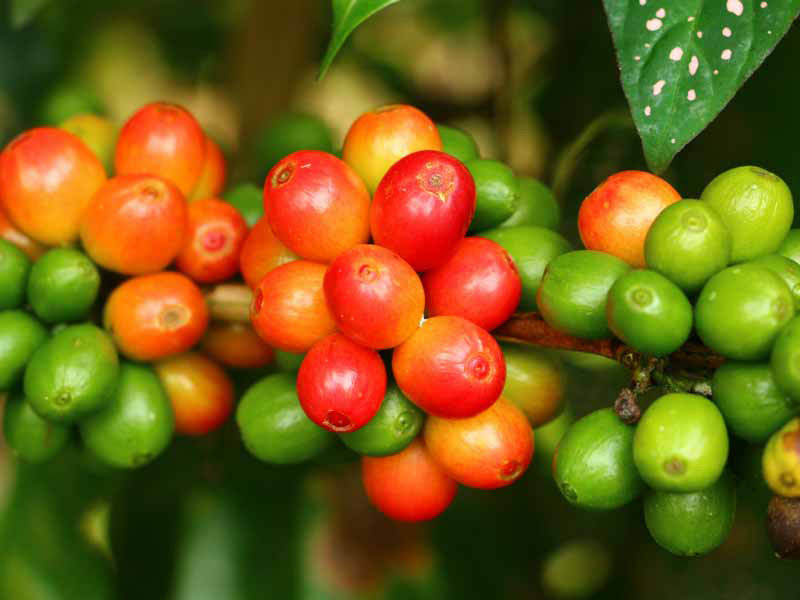 Coffee exports account for 2% of both Peru’s national economy and the global coffee supply. After a peaceful sleep on the rural farm, depart on a tour. Learn all about artisan coffee production before the best part: roasting and grinding coffee beans for breakfast! The culmination of our adventure is a final day exploring incredible Machu Picchu, Inca Wonder of the Modern World! Ascend the stone steps to catch your first glimpse of Machu Picchu as the early morning fog lifts and the clouds part, revealing the majestic ruins below. After an in-depth tour of the central temples with your guide, begin your Machu Picchu hiking adventure. 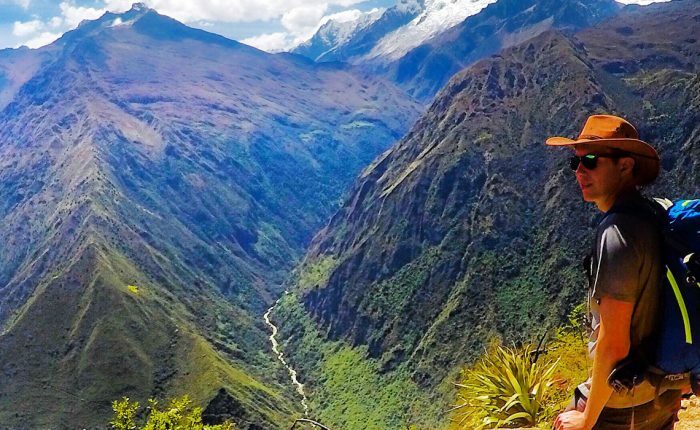 Depart on a thrilling ascent to the top of one of the three peaks overlooking the ruins; Huayna Picchu, Machu Picchu Montaña or Inti Punku (the Sun Gate). Entries to these trails are limited and can sell out months in advance; please confirm your preference at the time of booking. The length of your hike will vary depending on your route. However, the reward for each are incredible panoramic views of Machu Picchu framed by dramatic valleys and snowcapped peaks. Take a moment to escape, find a peaceful spot to observe the ruins, and take in the breathtaking mountains and rushing river below. Return to Cusco this evening, having hiked a enigmatic wonder of the world, experienced Peruvian cultural heritage first hand, and enjoyed Peru’s delicious coffee and chocolate along the way. We promise an unforgettable experience, and the opportunity to create memories few others can!